Going to college or university is an exciting time for students in Glasgow, especially if you’re moving into a student flat or university halls for the first time. 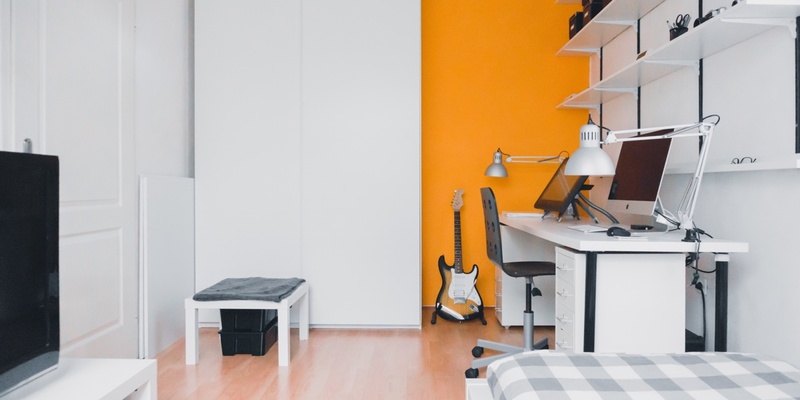 For many people, moving away for uni or college is the first time they’ve had their own space and their own house rules. But it’s not all sunshine and roses. Going from a plush family home to a basic student flat is a big change. However, buying the right furnishings for your new pad can make a huge difference, turning an empty shell into a welcoming home. 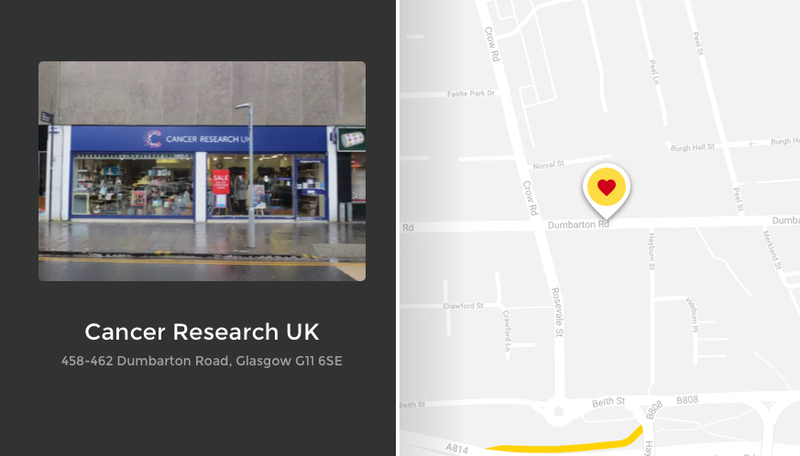 Thankfully for cash-strapped students, Glasgow has a ton of unique charity and thrift shops scattered across the city. With a little digging, you can pick up some bargains and turn your student accommodation into a home away from home. For the past few months, we’ve been searching for the best charity shops in Glasgow to produce this ultimate list! Whether you’re looking for clothes, furniture, books or electrical appliances, you’re sure to find just what you need without breaking the bank. One of the most exciting things about moving out on your own is the chance to decorate a new dorm or flat to reflect your personality. Creating a space all your own is an important part of growing as a person, and the process can be tons of fun. However, new furniture costs a fortune and students aren’t known for their deep pockets. Expensive price tags can make furnishing a new flat into a real drag. 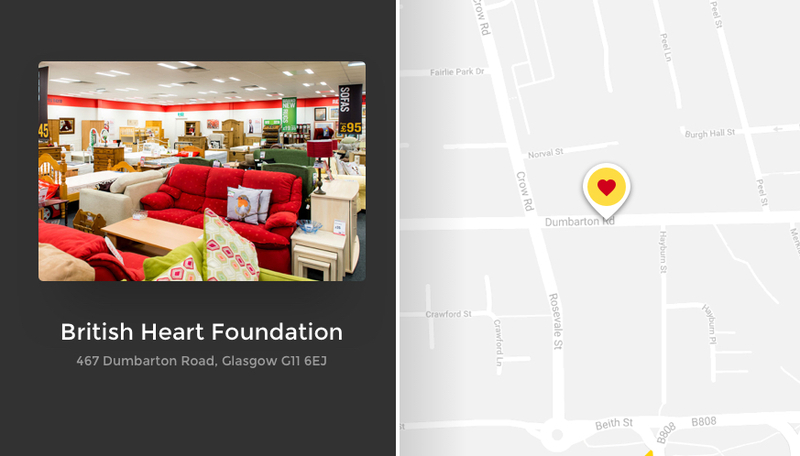 Luckily, Glasgow is home to a load of great charity shops packed with quality furniture. With a little research and a bit of effort, students can kit out a flat without breaking the bank. Also, since most student leases are usually 10 months long, you’ll need somewhere to store your furniture over the summer break. We offer great short-term storage deals for students in the city. We’ll even come and collect your belongings from your digs and take them to your storage unit! 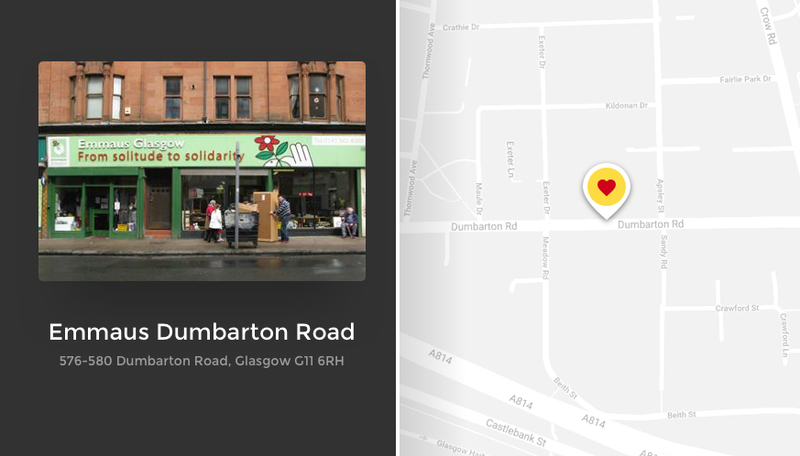 This small chain of local charity shops has two public locations around Glasgow — Ellesmere Street and Dumbarton Road. These charity shops have some very affordable pieces of furniture for students looking to furnish their flats. Also, you can feel good knowing that your purchase is helping Glasgow’s homeless population get back on their feet. Emmaus has dressers, office sets, bed frames, and anything else you need for your new student digs. As you may have guessed from the name, British Heart Foundation is all about improving research and education about cardiovascular health. Unlike other charity shops that have a little bit of this and a little bit of that, British Heart has two shops dedicated to just furniture and electrical items. 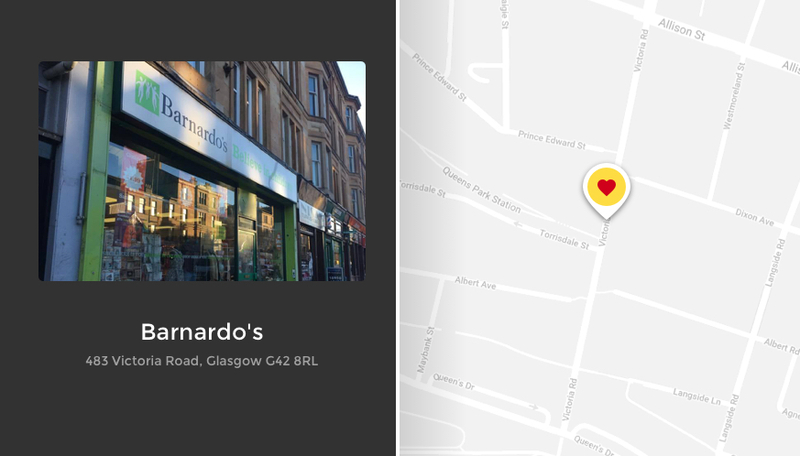 There’s one on Stockwell Street in the city centre and one on Dumbarton Road in Partick. Cash-strapped students will be buzzing to find sofas from £95 and beds from £65. Plus, the volunteers at the stores perform thorough quality checks before moving merchandise to the sales floor. 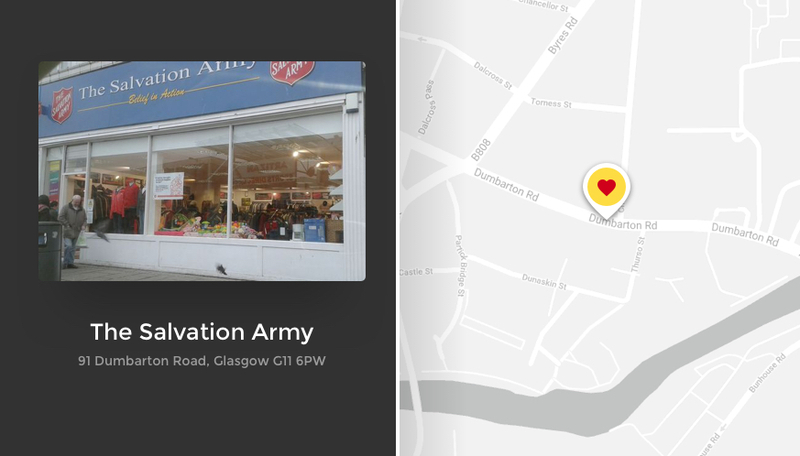 The Salvation Army has locations all over Glasgow but if it’s furniture you want, check out their shop at 91 Dumbarton Road. This is a brilliant charity shop and most of the space is dedicated to household furniture. What’s the point of having lots of awesome clothes if you can’t afford to go out? Vintage, retro and charity shops mean students can create a stylish wardrobe and have enough money left for weekend adventures. So, if you’re dying to go clothes shopping but don’t want to spend tons on a single outfit, check out some of these secondhand and charity shops around town. City Retro 41 is located on 41 King Street. While it’s not one of the largest shops in the city, it packs a load of vintage clothes and styles into its small footprint. The store has a men’s and women’s section, and each side has plenty to offer. The staff are all pretty relaxed and friendly and will always lend you a hand if you’re looking for something specific. Be sure to bring cash with you to pay as its a cash-only store. This independently-owned store is one of the best places to find vintage clothing. 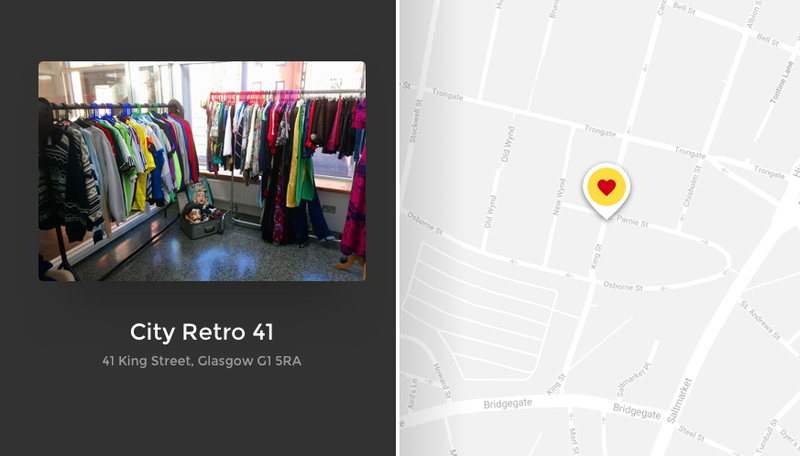 Located on 453 Great Western Road, the Glasgow Vintage Company is a Mecca for anyone looking for threads from before 1990. 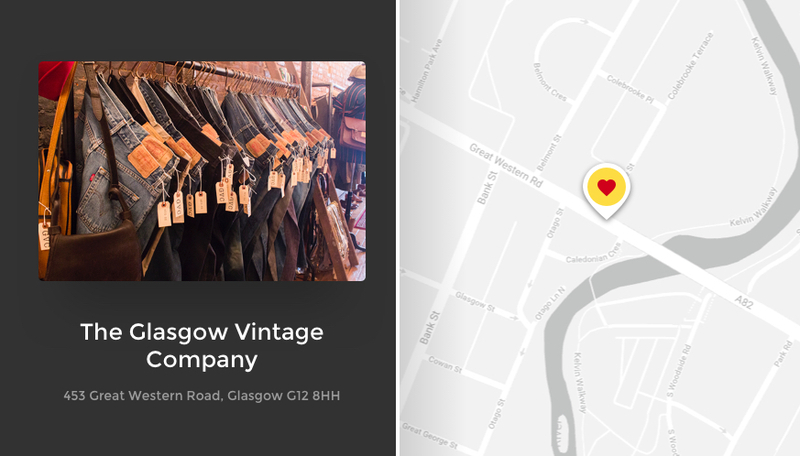 The Glasgow Vintage Company carries men’s, women’s, and children’s clothing from all over the world. New items arrive each week, so the inventory is always fresh and new. That does mean it can be a bit hit or miss so it’s worth checking back fairly regularly. If you’re lucky, you can chance on vintage Levis and other extortionate brands at a fraction of the retail price. Even with its rails packed to bursting point, it manages to stay organised and easy to sort through. Also, students will love the 10% student discount they get on top of the already bargain prices. 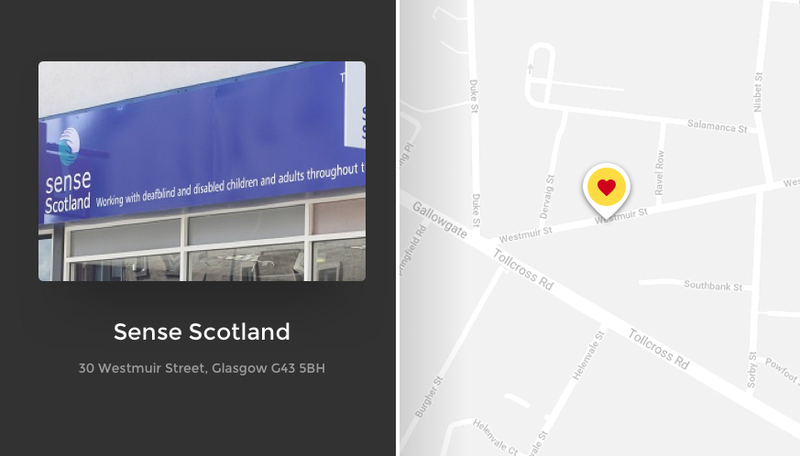 With four locations Glasgow (Dumbarton Road in Partick, Middlesex Street in Tradeston, Newark Drive in Pollokshields and West Muir Street in the East End), students don’t have to go far to find affordable clothing at Sense Scotland’s shops. Proceeds from the organisation’s stores benefit those living with communication support needs around the country. Sense is usually pretty good for accessories too, carrying a decent assortment of handbags, shoes, jewellery and so on — all for bargain prices. Sense Scotland’s charity shops are one of the best places for students to find great deals when looking for something new to wear. Unless you fancy living like a caveman, you’ll probably need to fit your new digs out with some new electrical appliances— light fixtures, kitchen appliances, TVs and so on. However, kitting a new flat out with new devices can be extremely expensive! Fortunately for students who are starting on their own, there are several charity shops in Glasgow offering cheap electricals items and appliances in great condition. Whether you need a new hairdryer, vacuum or new soundbar, your best bet for a good deal is to check out some of these charity shops. 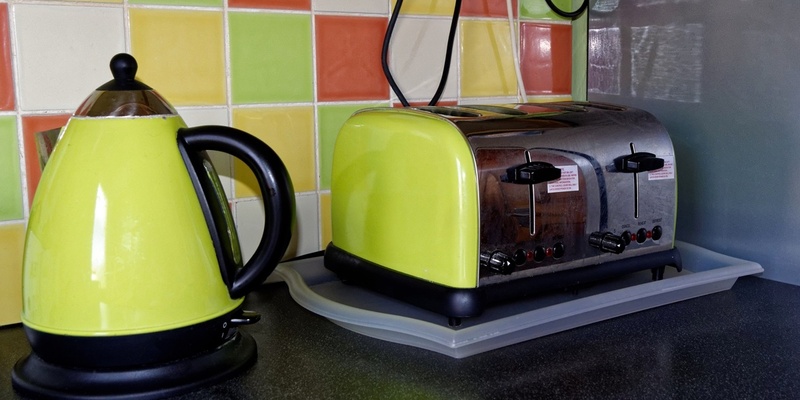 Not only are the charity shops run by the British Heart Foundation the place to go for furniture but they’re also a great place to find household appliances! Since British Heart has dedicated furniture and electrical stores, they tend to receive far more donations than generic charity shops, which keeps their inventory fresh and continually rotating. British Heart stores also offer a 10% student discount, which is very handy for cash-strapped students. 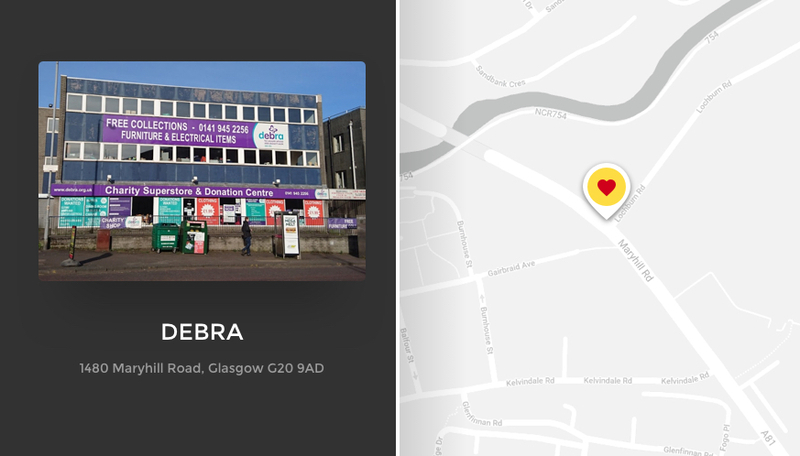 DEBRA has two shops in Glasgow: the superstore on Maryhill Road and a smaller location on Shawlands Arcade on Kilmarnock Road. While both stores aren’t dedicated electrical shops, they still carry a wide selection of appliances and other goods at student-friendly prices. The superstore, in particular, is a great option for students who are searching for electricals. As one of the largest charity shops in the city, you’ll be sure to find what you need. 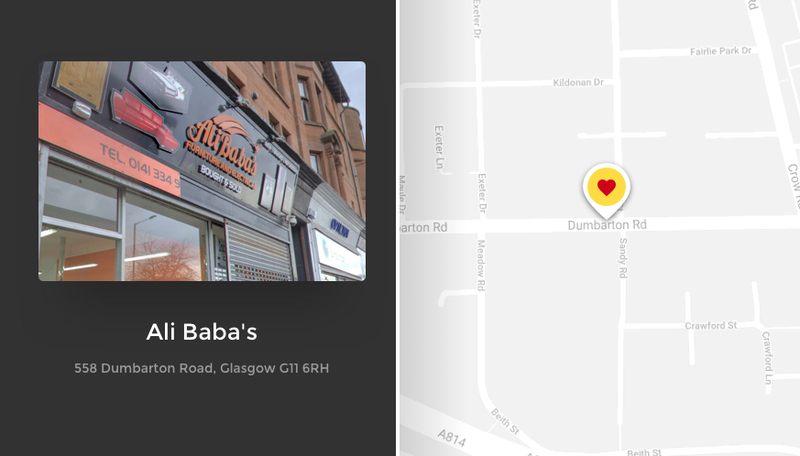 You can find Ali Baba’s on 558 Dumbarton Road. The entrance looks small but the shop has a sprawling tunnel of backrooms that hold all sorts of electrical goodies. While Ali Baba’s isn’t a charity shop, it does offer new and used electricals at hugely discounted prices. It is one of the more inexpensive shops for appliances in the area and definitely worth checking out, especially for students on a budget looking for smaller electricals. Brand new books can be expensive, especially non-fiction textbooks for STEM subjects. And when you only need a book for one module or course, it’s painful to pay the full list price. 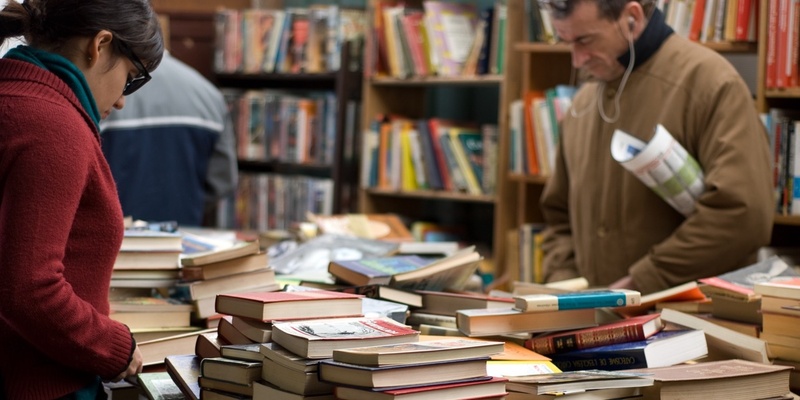 Instead of paying Amazon for a new book at full price, consider checking out one of the many secondhand book shops in Glasgow. Whether you’re a student looking for an assigned reading or just want a new story to get lost in, these charity bookshops have got you covered. Oxfam has a bunch of shops around Glasgow, two of which are dedicated book shops. Oxfam Bookshop Byres Road and Oxfam Bookshop Royal Exchange Square should be high on your list when you’re looking for cheap books. The West End location, in particular, is a great hunting ground for set texts and course textbooks as it’s literally right next to the university. That’s right, Emmaus charity shops made the list again, this time as one of the best places for students to find cheap books. You’ll find bestsellers, biographies, art books, poems and just about everything else in any of Emmaus’ stores. 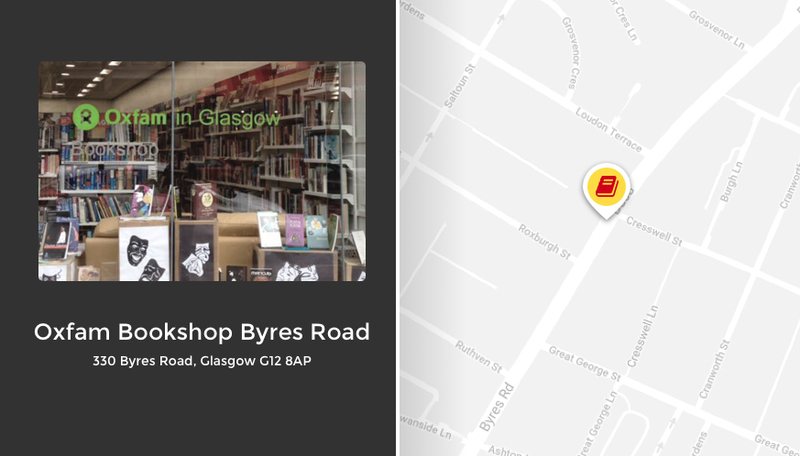 The Partick Charity Shop, in particular, has a large selection of titles and the staff are always more than willing to help you hunt through the shelves for particular texts. Cancer Research has a load of charity shops scattered across Glasgow, some of which are surprisingly good for books. The Dumbarton Road location has a full wall of books and is working on growing its collection of texts for students. Barnardo’s has a choice of book titles for any age and student-friendly prices that make it well worth the visit. There are several locations around the city, including Duke Street, Great Western Road, Wilson Street, and Victoria Road, so you won’t have to travel far to begin the hunt for an exciting new read. Charity shops are exciting places to explore, whether you’re looking for something specific or just browsing for the fun of it. 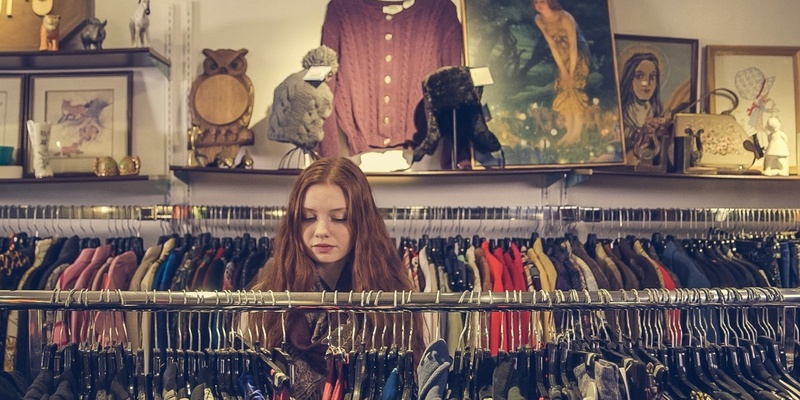 Students, in particular, will find the prices at charity shops irresistible, which is perhaps one reason why interest in Glasgow’s secondhand stores continues to rise. 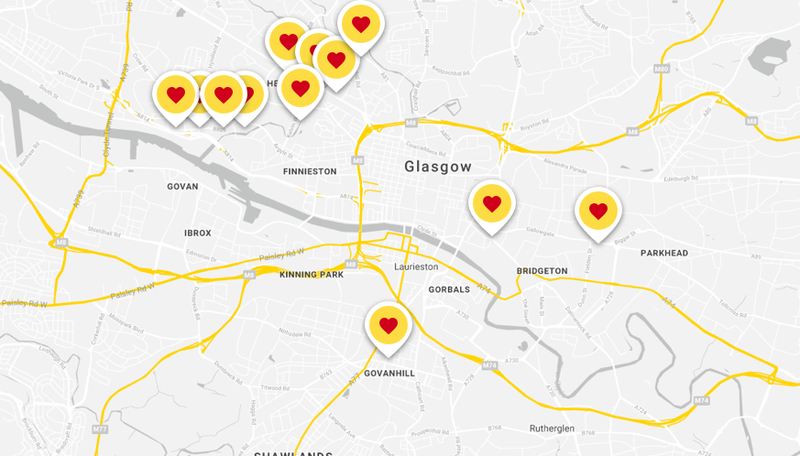 So, if you’re about to move out of your parents’ home and need some furniture to fill your new flat, be sure to check out these fantastic stores around Glasgow. And if your bookshelves or wardrobes are already full, why not free up some space by moving some of your stuff into a student storage unit?